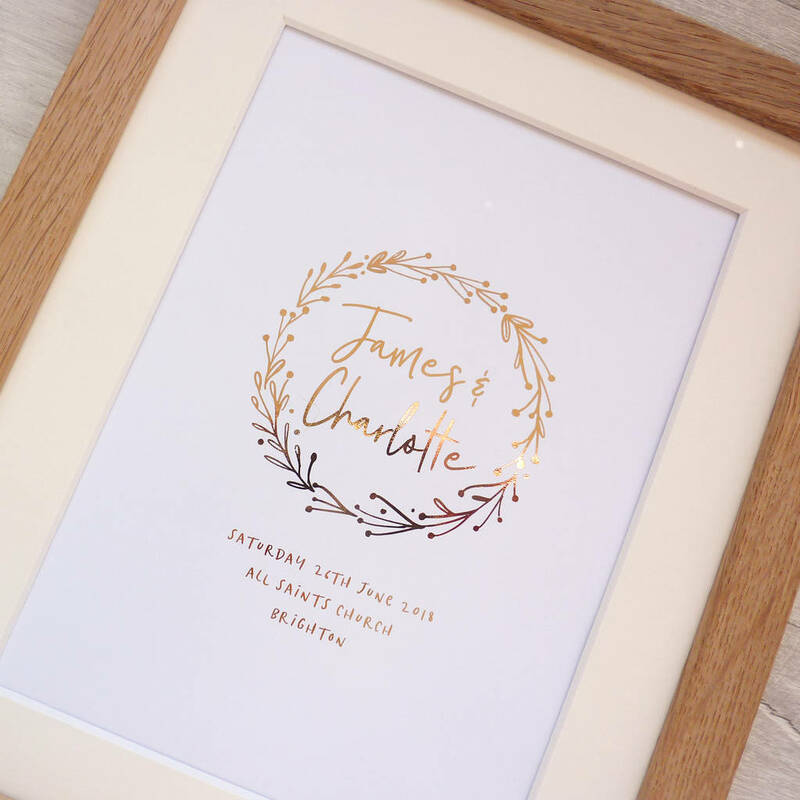 For a thoughtful and stylish wedding gift take a look at our lovely Wedding Wreath Personalised Foil print. 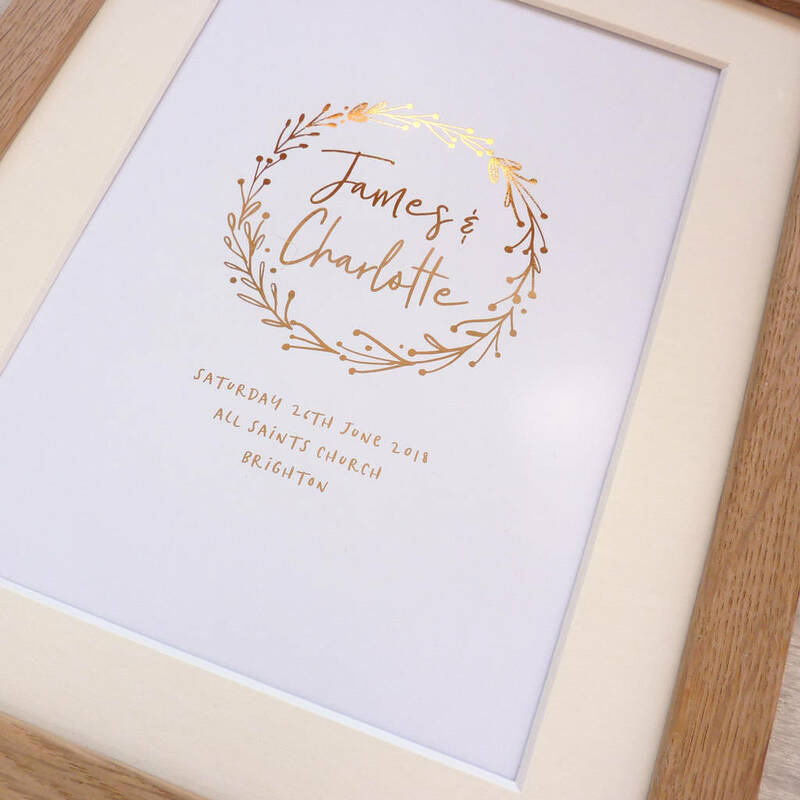 A great gift to give any happy couple on their wedding day, personalised it makes a beautiful keepsake that is sure to be treasured. 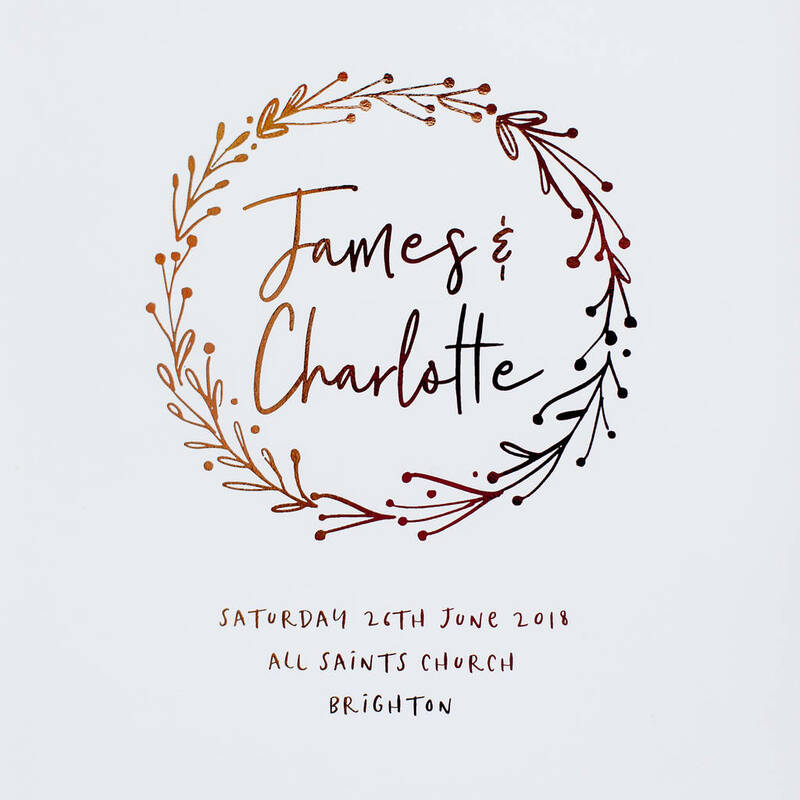 Each picture features a modern wreath illustration with the names of the happy couple in the centre printed in a lovely modern handwritting style font. 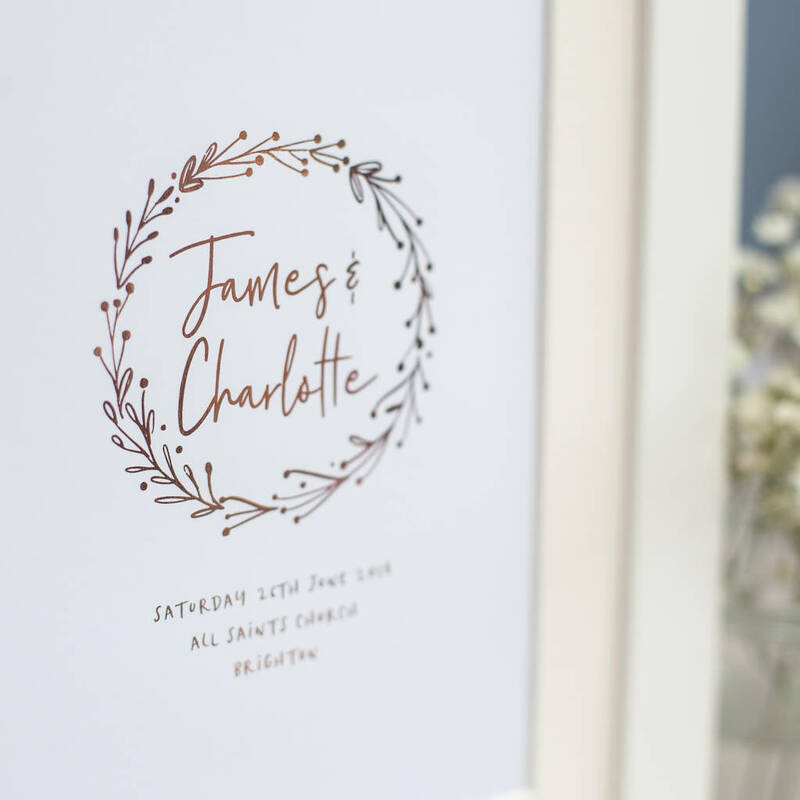 Below the wreath there is space to personalise the print by adding the date and location of the wedding, all in fashionable metallic foil. Available printed your choice of metallic foil, select from Gold, Rose Gold, Silver or Copper. Prints are available unframed and unmounted, mounted or mounted and framed please use the drop down menu to select the option you would like. 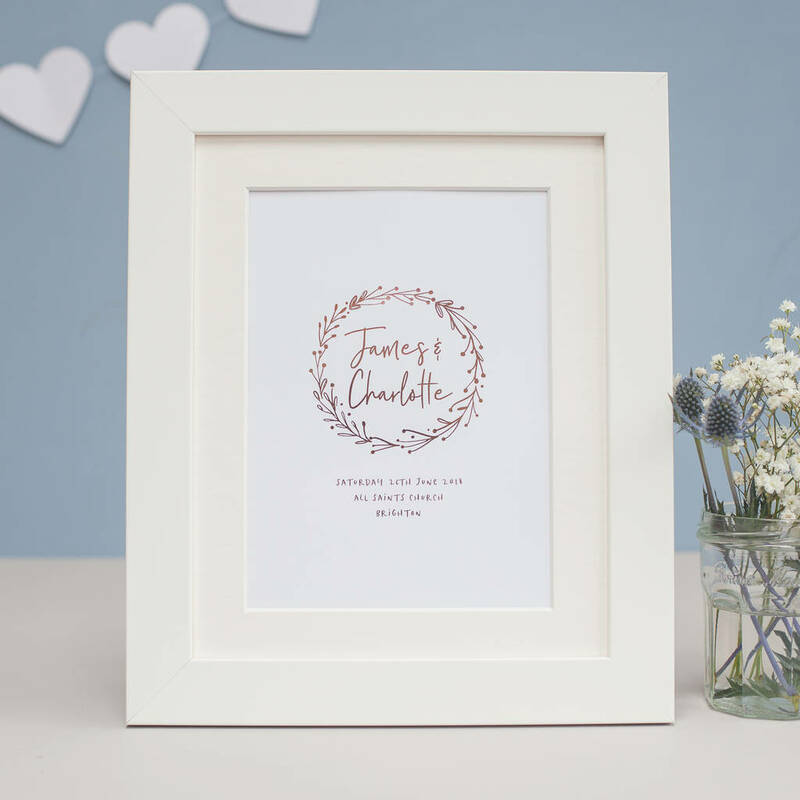 Framed prints are supplied mounted in a white wooden frame or oak frame. All frames made in the UK and are supplied with a high quailty styrene/acrylic glazing that is safer than glass and indistinguishable from glass. All pictures are printed onto bright white smooth 340gm card stock. All mounts are made of thick cream card. All frames are made from wood and have styrene glazing for safety. 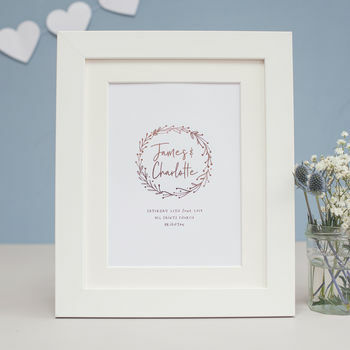 Prints are supplied to fit into a standard 8 x10 inch (20cm x 25cm) frame. 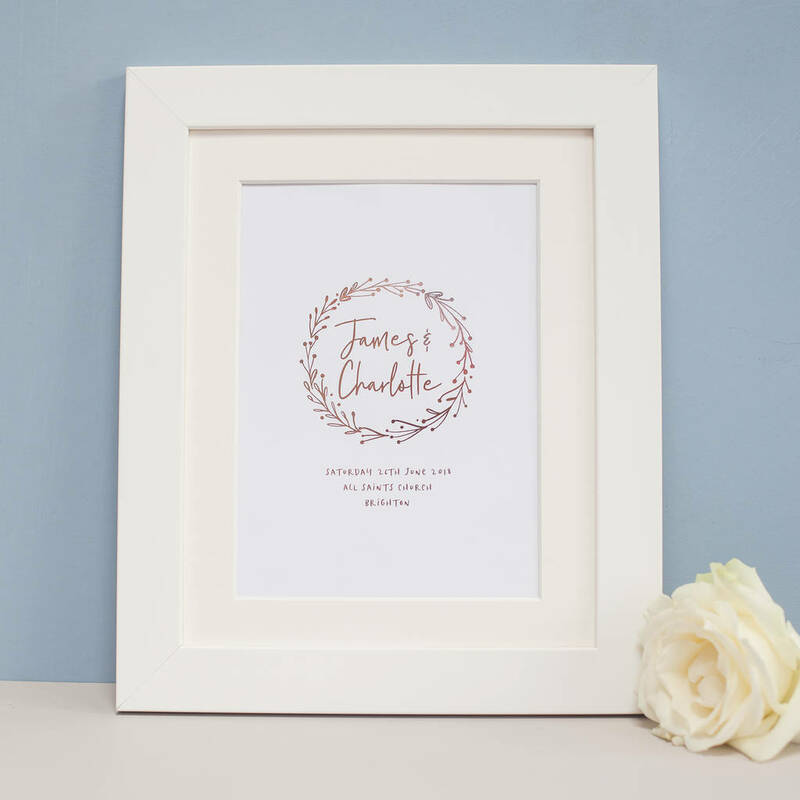 This product is dispatched to you by Little Cherub Design.